In 2018, it can be difficult to find the best boiler installations in Cardiff, especially with so many options to choose from. New boiler installations should only be done by experienced, Gas Safe Registered Engineers. Even if installing a combi boiler sounds easy enough on paper, you should refrain from making it a DIY project. Especially when a gas connection is involved. You could face heavy fines, and even prison. Why is that? We’ll cover that and more in this article. Cardiff is the capital city and one of the most important commercial centres in Wales. 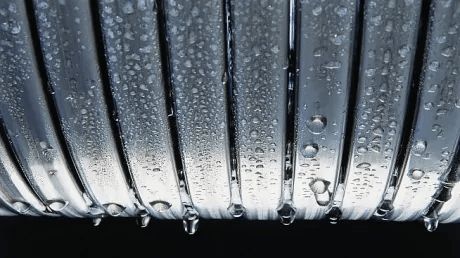 The 2018 Great Britain and Ireland Cold Wave saw a lot of boilers in Cardiff shutting down due to a frozen condensate. And a lot of older non-condensing boilers simply shut down because of a boiler breakdown. This is precisely when a lot of people call energy companies, or boiler installation companies or local plumbers for boiler installations in Cardiff. And because of a boat load of enquiries, not everyone is available to repair your boiler. When Should You Repair or Replace Your Boiler? If your existing boiler keeps breaking down every few months, you’re probably spending between £100 and £150 on repairs. That money can compound into a sizeable sum over a year. What’s more, if your boiler is older than 15 years, it’s a non-condensing boiler. Condensing technology allows modern boilers to condense water vapour in the exhaust gases, and so recovering its latent heat of vaporization. Which older, non-condensing boilers waste. This makes new boiler installations in Cardiff, along with smart controls and weather compensation close to 95% energy efficient, with some premium boilers even going up to 98% and above, for ex. 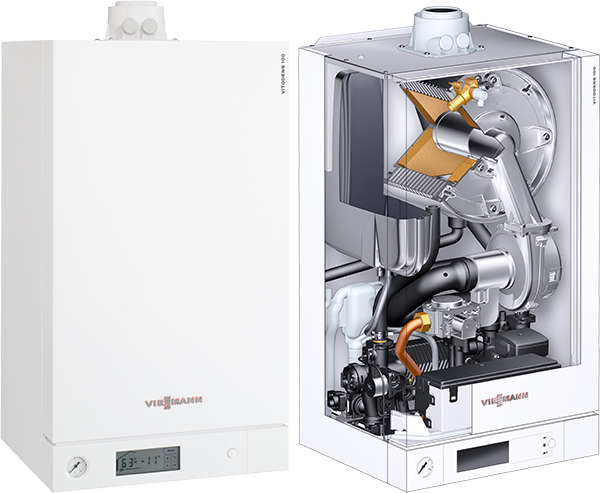 the Viessmann Vitodens 200-W.
Due to thermal stresses over the years, as explained above, the internal components of a boiler get corroded. Corrosion makes the overall energy efficiency go down. So, the efficiency of your boiler may have dropped down to 70% or even 50% let’s say over 15-20 years. Which in monetary terms is huge, because you’re losing £30 to £50 for every £100 you’re spending on your energy bills. Your old boiler may still be able to heat your house and provide hot water, but it’s using much, much more fuel than is needed. As mentioned above, energy efficiency of a modern condensing boilers is typically greater than 90%. A safe range is between 92% and 98% (for high end premium boilers). When it’s sub-zero temperatures outside, you need to be able to have the ultimate confidence in your central heating system. You simply cannot afford to ignore it all year long and then crank it up to 100 when the snow hits and expect it to work at its best. Which is precisely why so many older, overworked boilers simply cease to function when you ask too much of them. By switching to a brand new, modern condensing boiler along with things that increase energy efficiency, like weather compensation, smart controls, internet enabled programmable and learning thermostats, better insulation, draught proofing your home etc. you are not only ensuring consistent, trouble free heating and hot water for your family. But also reducing your energy waste by a massive amount, and doing your bit to help the planet by reducing your carbon footprint. This is a major vote in Viessmann’s favor, because all its rivals (including Worcester Bosch) have aluminium heat exchangers, in some cases manufactured by a third party company based in France. Viessmann manufacture their patented heat exchanger in-house, which also helps them compete on price for boiler installations in Cardiff. Now, in case you didn’t know, stainless steel is a more durable, reliable, and less corrosion prone metal compared to aluminium. So, when you’re paying your hard earned cash on central heating, you’d want your new boiler to be at the highest efficiency possible, for as long as possible. So when we compare stainless steel and aluminium side by side over 15-20 years, which metal will last longer? I think you know the answer. Easier to site boiler, saves time and money during installation. Every Viessmann boiler modulates between 5kW and 30kW based on the heating needs, saving energy when it’s not needed. Older boilers work continuously at the highest possible capacity. Because Viessmann are so confident in the durability and toughness of their Stainless Steel Heat Exchanger, they offer a standard 10 year warranty across all boilers, including parts & labour, if the boiler is installed by a Viessmann Trained & Accredited Installer like BT Morgan Heating Engineers. Viessmann’s most affordable offering, the 050-W carries a 7 year parts and labour warranty, and 10 years on the heat exchanger. The 100-W carries a 10 year warranty throughout. Avoid or reduce water hammer problems. It’s the only boiler we know that has this as an integral component. Boiler Installations in Cardiff – Buy it Online or the Old Fashioned Way? We’re in 2018 and buy everything online these days, and boiler installations in Cardiff should be no exception. There are many benefits of buying boilers online. You don’t have to take time off work and schedule a site survey. In case the survey gets canceled or rescheduled, you’ve wasted time and money. Online quotes are free, take a few minutes, and you’re under no obligation to buy. Who Should You Trust for Boiler Installations in Cardiff? When you’re in the market for a new boiler installation, you will literally have thousands of companies to choose from. There are big energy companies like British Gas, SSE, E.On, nPower etc. Then there are independent boiler installation companies like BT Morgan Heating Engineers. And local plumbers that you can find on local yellow pages. An independent boiler installation company like BT Morgan Heating Engineers is usually a group of highly experienced, trained engineers. Getting an quote online is easy, quick, and free. Installation is done within a few days. In many cases a site survey isn’t even needed. Because they don’t have the overheads of large energy companies, quotes for the exact same boiler are much cheaper. You get personalized care and attention, and excellent after-sales customer service. In case of any breakdowns or if you need a service, their engineer or a technician from the manufacturer can be at your doorstep within a couple of hours or a day or two. Big energy companies will take weeks to schedule a site survey, and weeks further to install your boiler. Same goes for servicing or repair appointments. When you call them, you never get through straight away. You always have to hold on and wait in queue. For big energy companies, you are just a number. You don’t get personalized attention. Because they are big energy companies, their boiler installations in Cardiff quotes are sky high. We’ve installed like-for-like boilers and extras for up to £2,000 cheaper in some cases. You may or may not get your quote cheaper. You may have to take time off work for a site survey. You may have to wait days to weeks for a quote. You may have to wait weeks for an installation date. If your boiler breaks down and your plumber is on vacation in Tunisia, you will have to find someone else. Your plumber may not be able to give you extended warranties. We want to elaborate a bit further on the last point. You may be able to apply for a personal loan at your bank for boiler installations in Cardiff, but if something goes wrong with the installation, you are still liable to pay for the loan in full. Whereas BT Morgan Heating Engineers offer you finance options which are protected by the Consumer Credit Act 2015. So, you enter into a contract, and if the boiler installation company doesn’t keep up their end of the deal, you’re not liable to pay your installments. We hope this has been a helpful post. You can get a free online quote on our homepage, or contact us on 07980 910 180 for free and friendly heating advice and a quote. 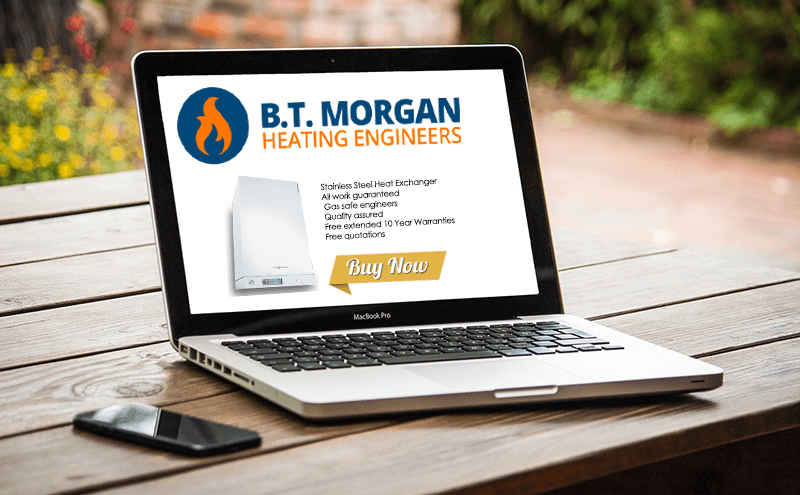 B. T. Morgan Heating Engineers are based in Cardiff and have been operating for over thirty years under the name of B T Morgan Heating Engineers. We predominantly install, service & repair Domestic Boilers.